Like seeds in the wind, throw out some ideas among a group of Lions and some take root and grow. In Boise, a group of Lions were working at the Envision office sorting eye glasses and an idea was suggested for a Kids Cancer project which grew into a project approved by the club. We wanted to give our St Luke’s Children’s Hospital enough bags and items to create 100 sling backpack bags for kids in treatment for cancer. This gives the kids items to occupy their time and be useful going forward. We ordered bags with our club name and Lions International logo on them, then club members donated items that hospital staff could give to the kids undergoing treatment. before the backpacks are all used. either purchased or hand decorated, giving us another idea for a future project. diabetes patients, geared toward adults. The Boise Bench Lions are proud to be able to offer Vision and Hearing Screenings at local schools. The methods have evolved over the years to we now are able to use electronic vision screeners which are a lot faster and easier to use than charts of various sorts. We also are able to use portable audiometers for school screenings. Great stuff A recent training session by a Idaho Lions Sight and Hearing Staff member is pictured below. Found Kids Booth at the Western Idaho Fair. The club has worked at the Found Kids Booth for the last several years. In 2018 36 lions and 7 guests volunteered 231 hours at the Found Kids Booth at and banded 1329 children. We also have lost adults show up too. Scholarship fundraiser sponsored by the Boise Bench Lions. Conveniently the sports teams are the Borah Lions, as PID Gary D'Orazio, a Borah Grad, puts it, "Once a Lion, always a Lion." There were over 250 people in attendance and distinguished speakers included Boise School Superintendent Dr Dan Coberly, Idaho Superintendent of Education Lion Sherri Ybarra, Council Chair Lion Jay Lugo and the student body President and incoming Presidents. The Borah High Choir also provided some great entertainment, even the cheer leaders gave a rousing performance. The dinner was successful and raised money for multiple scholarships for graduating seniors!!!! Newest partnership for the Bench Lions in 2017. The club has built some beds for Sleep in Heavenly Peace and will be also active in delivering and setting them up, We were all surprised by the sheer need for beds.The Bench Lions and Sleep in Heavenly Peace have an ongoing working relationship. 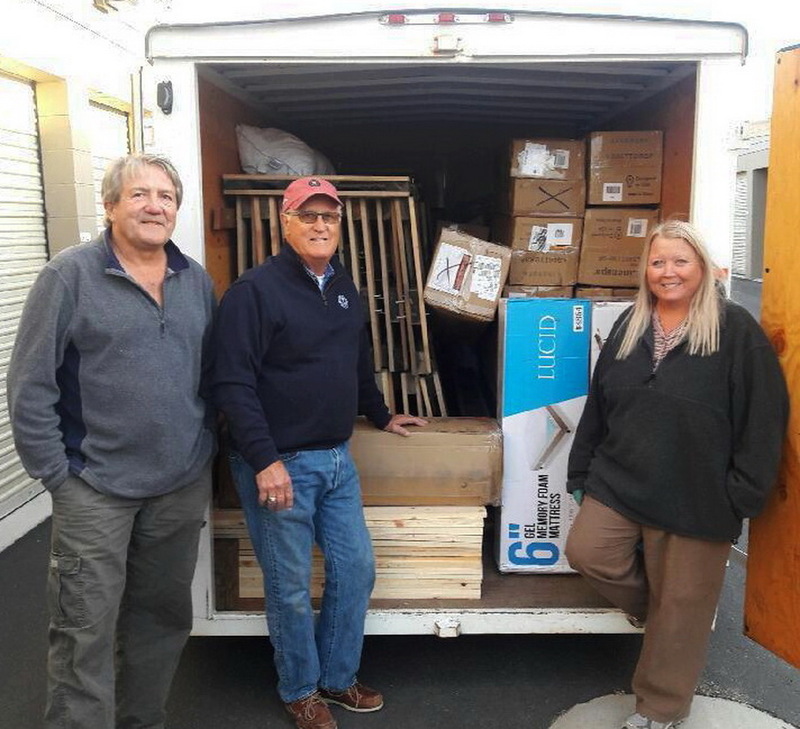 The club delivers and assembles beds for families in the area in need of beds. Several Lions inspected recently built beds to get them ready for delivery. Whether you are moving into a smaller home, a retirement home, or faced with the loss of a loved one, the Boise Bench Lions can provide an quick and worry free solution to handling the estate. With extensive experience in resale that has equipped us with a vast knowledge of antiques, collectibles and common household items. We have earned a reputation for integrity, the ability to price items accurately and expertise in selling. The Boise Bench Lions Club offers a complete liquidation service. This is a fundraiser for the Boise Bench Lions and proceeds are returned to the community through a variety of projects and donations. A Boise Bench Lions Representative will be happy to meet with you to explain our format and procedure. Please send an e-mail to boisebenchlions@gmail.com or call 208 344-9931. About 20 staunch Boise Bench Lions members turned out to rake two homes for Rake up Boise on December 6, 2014. The project had been delayed several weeks due to snow and holidays, but a little rain did not slow us down that day. Over 50 bags of leaves were raked up and dropped off at a couple of collection points. Good coffee and donuts bring volunteers in.